Why Should You Choose Arrow Wall Panels For Your Next Project? Arrow Wall Panels offers exceptional quality and are highly accurate. Delivered directly to your site and designed according to your build plans, they are your solution for fast, cost-effective installation. 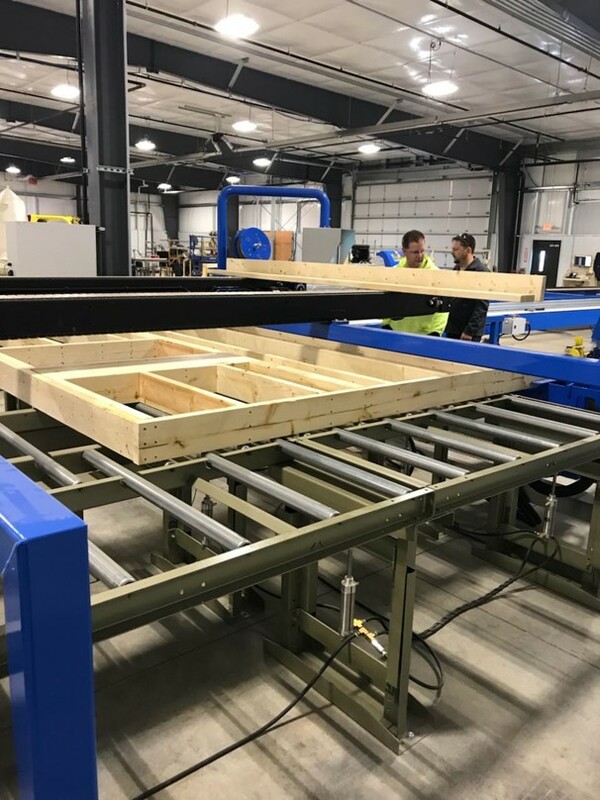 All the components of the build are pre-assembled in Arrow Wall Panels’ climate-controlled manufacturing facility. They are delivered to the job site in optimized sequential order and go together quickly. Traditional framing methods rely on the builder to assemble all the pieces on the job site. 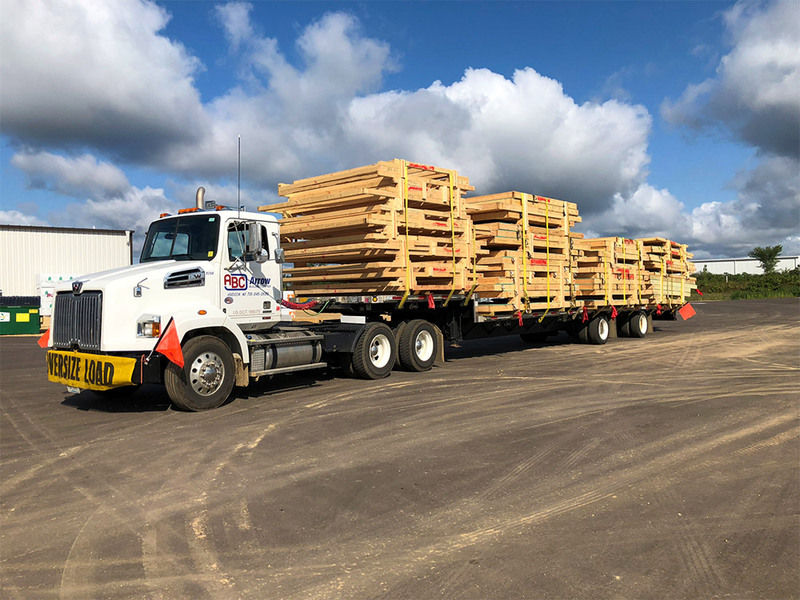 Bad weather, scheduling conflicts, construction errors, and maintaining a qualified labor force can all lead to work delays or expensive rebuilds. Arrow Wall Panels isn’t limited to single-unit homes. 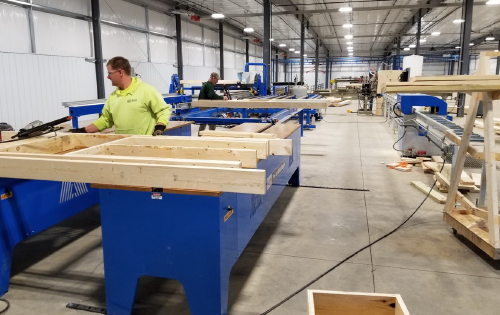 For multi-family and commercial projects, our Commercial Services Department can assist in estimating, designing, and fabricating your next project. 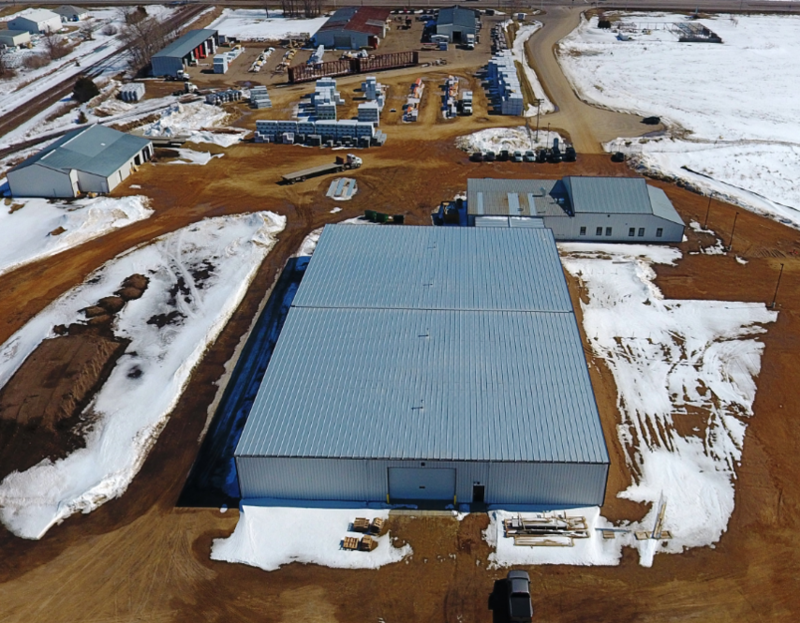 Upon receiving your plans, our estimating team reviews every detail of your drawings and uses advanced software applications to quickly and accurately determine your project cost. Our designers utilize advanced software systems to incorporate all framing requirements into production drawings and provide detailed field drawings for onsite installation. As panels arrive on site, designers are available to answer any questions you may have. 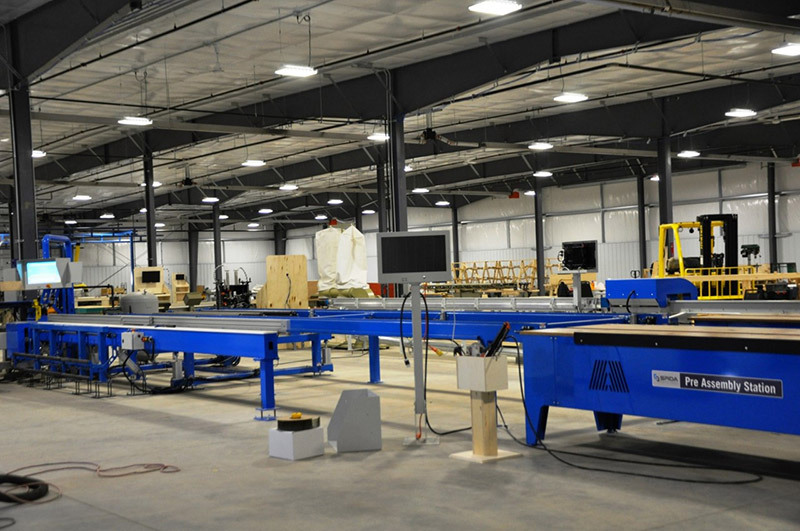 Arrow Wall Panels are produced in our brand-new Wall Panel Plant located in Hudson, WI. Our experienced employees use computer controlled and laser guided machinery to efficiently ensure high quality and reduce production time. Each wall is bundled according to the order the framers will be setting the walls on site. Bundles are labeled then delivered to the job site by one of our fleet vehicles. Installation is quick and easy. Before each project begins we arrange pre-construction meetings to sit down with the framer and review the placement plans. Contact your Arrow Building Center Sales Rep or nearest location to start your next build with Arrow Wall Panels. We have worked with Brady and Arrow Wall Panels on several jobs. ABC excels at foreseeing and timing deliveries to keep work flowing without stocking too much material around the site. With sites getting smaller all the time, there is often room only for what you need, when you need it. We work with many of the wall panel suppliers. Without question, Arrow has the best accuracy around. For a framer, panels must be accurate to hold a schedule and make a profit. No reasonable change order can cover the cost of tearing something apart, rebuilding it, cleaning up the mess, loss of momentum and crew moral. Brady recently set up a pre-construction meeting with Arrow, MRB, and the GC of an upcoming project to sort out any questions about sequence, what will and will not be included in the panels, and schedule. You don’t get that level of service everywhere.